A group of successful alumni entrepreneurs from a range of industries and academic disciplines have united to form the Spiro Founder Society. 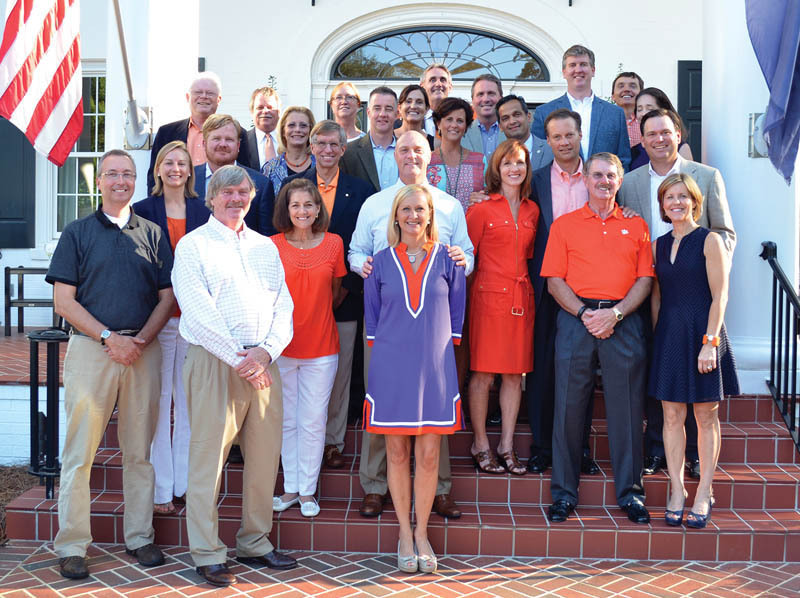 Collectively, they are offering a $1.7 million dollar challenge pledge to the University’s Arthur M. Spiro Institute for Entrepreneurial Leadership to inspire the next generation of Clemson entrepreneurs. The challenge pledge offers to match, up to $1.7 million, all donations made to the Spiro Institute that will enhance education, outreach and research in this field. Founded in 1994, the Spiro Institute provides an educational and research program in entrepreneurship that contributes to the economic development of the region, state and nation. The focus is on wealth creation through entrepreneurial activity. The Spiro Founder Society will support ongoing Spiro Institute initiatives across campus such as undergraduate and graduate entrepreneurship courses, Creative Inquiry projects for launching start-up companies, a living-learning community and two speaker series.